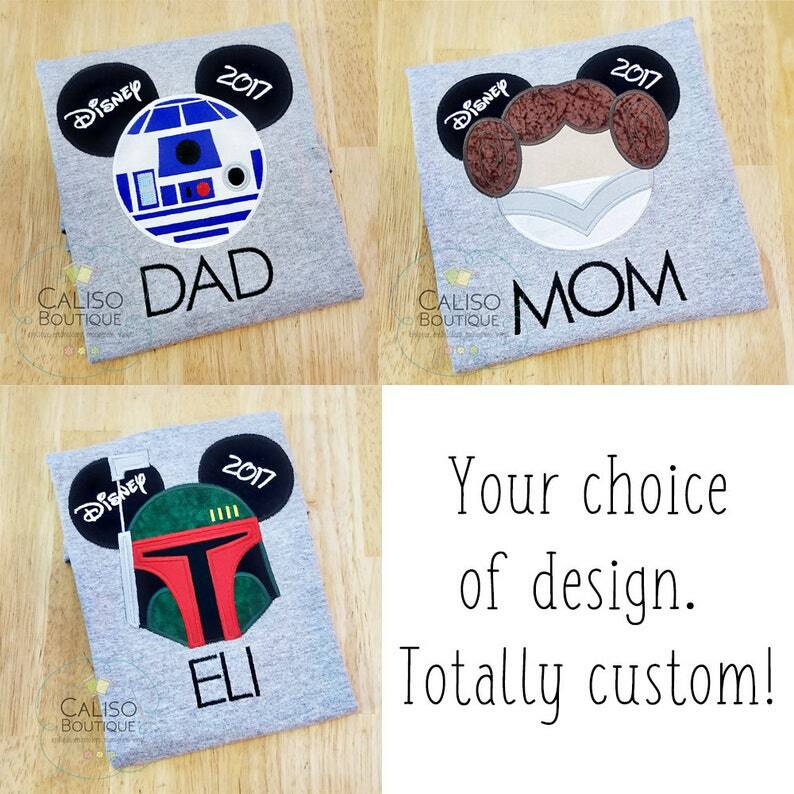 These shirts are great for your family vacation to see the mouse. Perfect for your Star Wars Day at Sea! Make them all the same color or have each group in your party have a different color. The possibilities are endless for these!